After our Parisian tour, we took the Eurostar (the train that goes under the English Channel) to London. 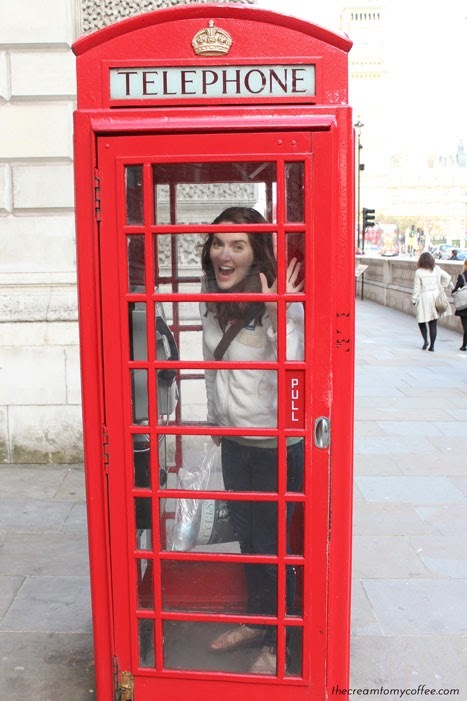 I have always wanted to visit London, so this was a dream come true. It was almost surreal seeing so many places I had only seen in movies and pictures. The first thing we did in London was book it to Chelsea stadium to catch one of the last matches of the season (little known fact: my husband was soccer player). We weren't able to get tickets, but we watched the game inside a pub packed with Brits yelling profanities and it was awesome. Also, Chelsea won the match so we didn't have to fear for our lives. Our hotel... ah, it was glorious. Eric got an amazing deal via Priceline so we stayed at the Marriott inside County Hall. It wasn't local and quaint like our Parisian hotel, but it was very nice (king size bed! air conditioning!) and the location was unbeatable. 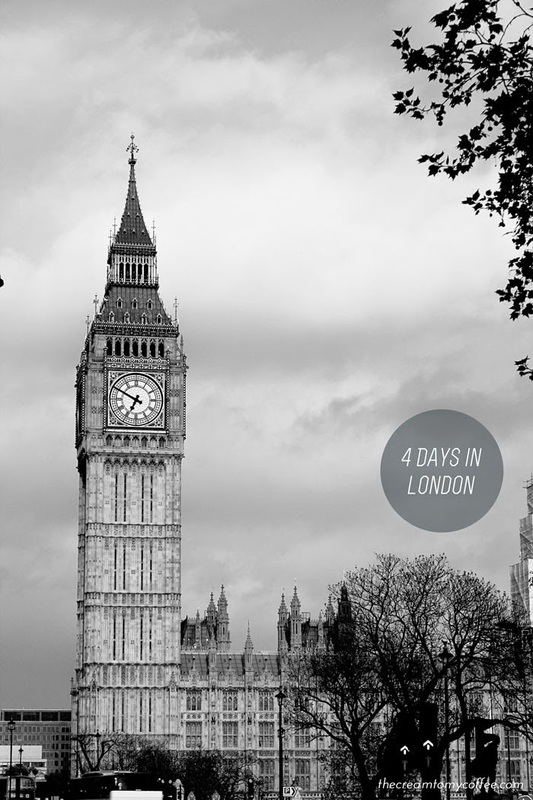 Our first full day in London was spent on a bus tour. I'm so glad this was recommended to me because there it felt like a great way to cover a lot of ground at once (plus we had a great guide who told filled us in on a lot of history we would have missed out on otherwise). 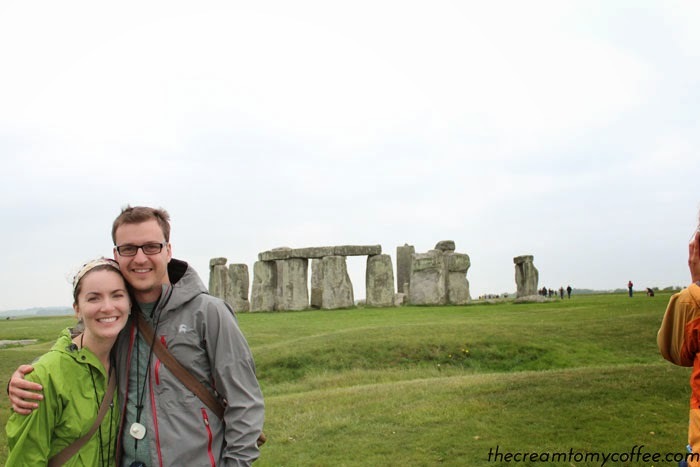 We went to Windsor Castle, Bath and Stonehenge. 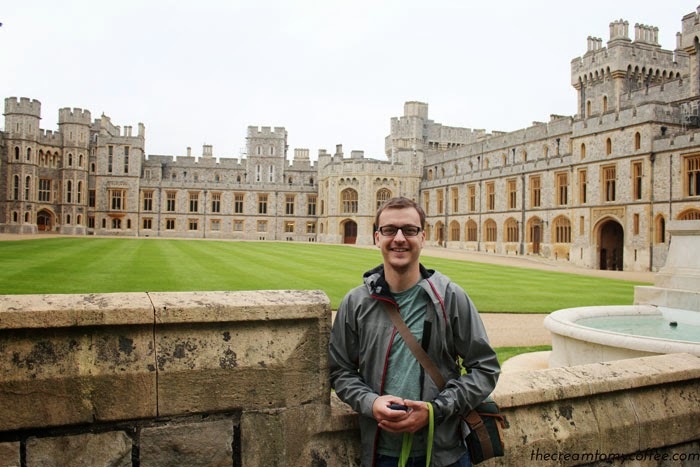 Windsor Castle, the queen's "favorite weekend residence" was lovely of course. We weren't allowed to take pictures, but let's just say there were amazing gifts given to the queen from dignitaries all over the world, coats of arms from current and past knights and a whole lot of weapons. Bath is a really lovely town. Our time was limited, but I think it would have been fun to spend a couple of nights there. 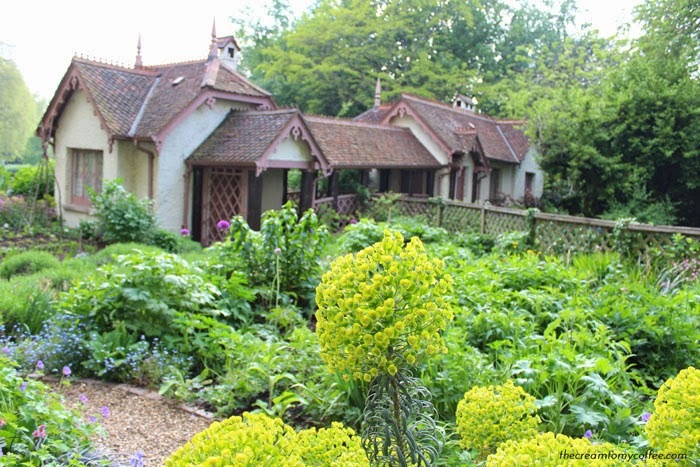 The Jane Austen museum is there (we didn't make it past the gift shop) and lots of fun little shops and restaurants. 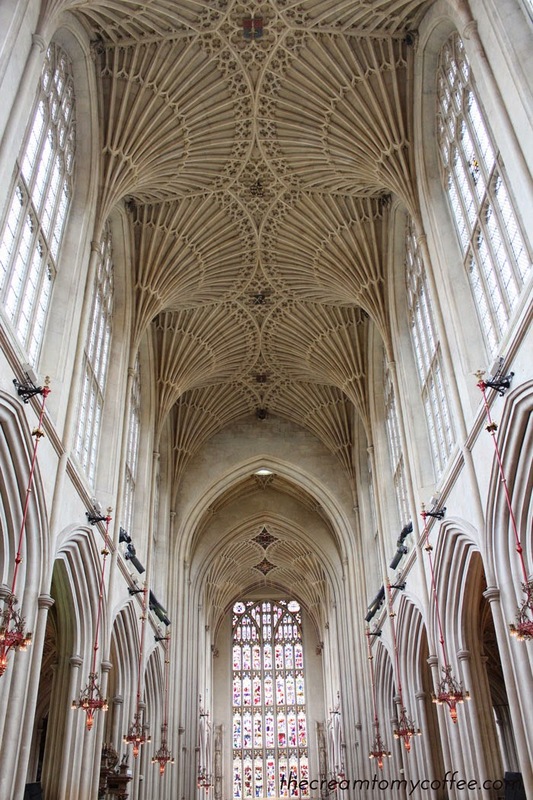 And of course Bath Abbey (pictured above) is gorgeous. Stonehenge. Well, it is basically a pile of rocks, and you can't get very close (thanks to the crazies that ruined it for the rest of us), but it is definitely worth seeing. I mean, it's Stonehenge. 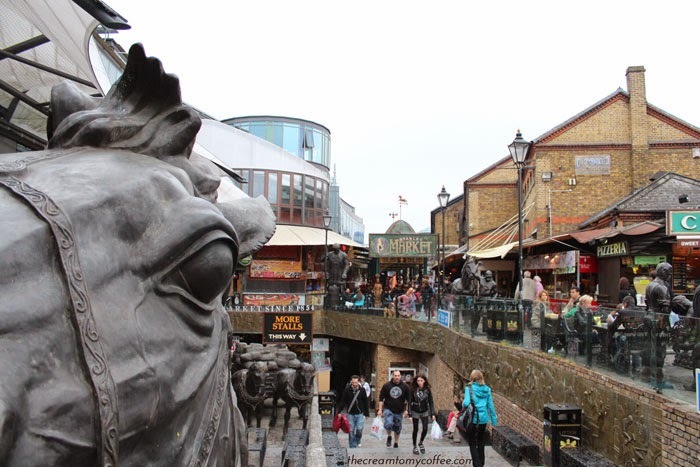 Camden Market is a really interesting area with lots of great street food and fun little shops. We found some little items to come home with us, but we mostly loved the people watching. 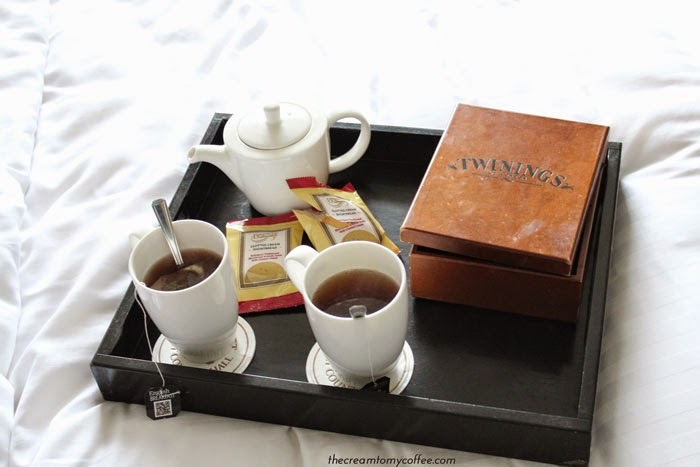 Of course, afternoon tea is a must while in London. So is taking a picture like this. 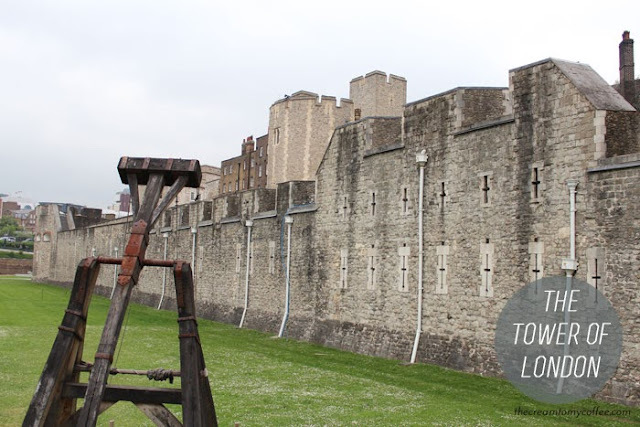 The Tower of London was a definite highlight. It is a wonderfully morbid place and actually looked different than I had pictured. 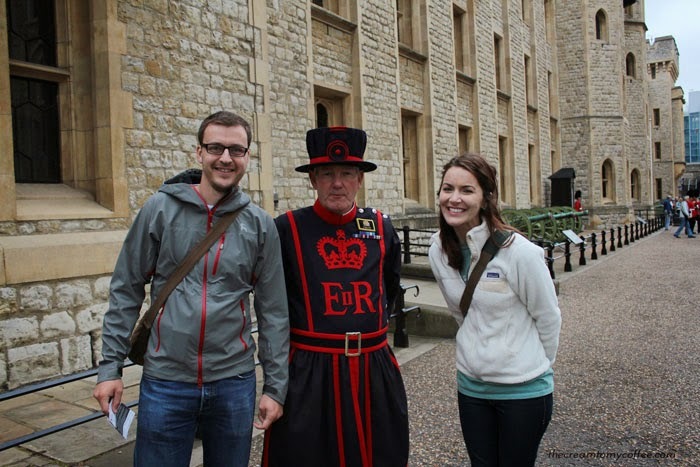 I definitely recommend taking a tour with a "Beefeater" - they tell the history of the tower so humorously and interactively. My husband loves Churchill (our dog is named Winston, remember?) 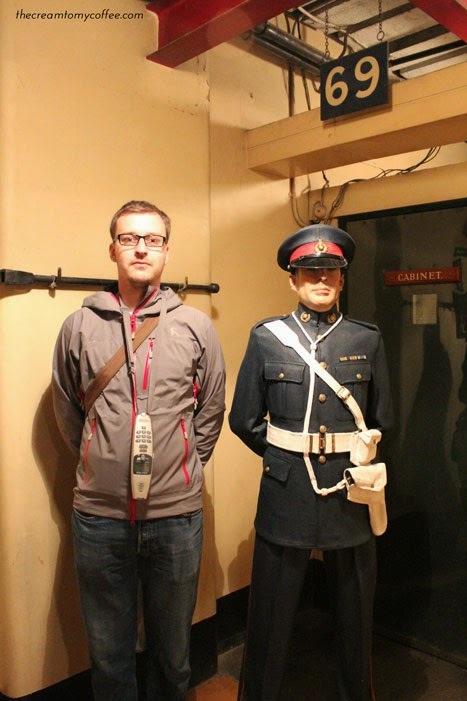 so we visited the War Rooms. 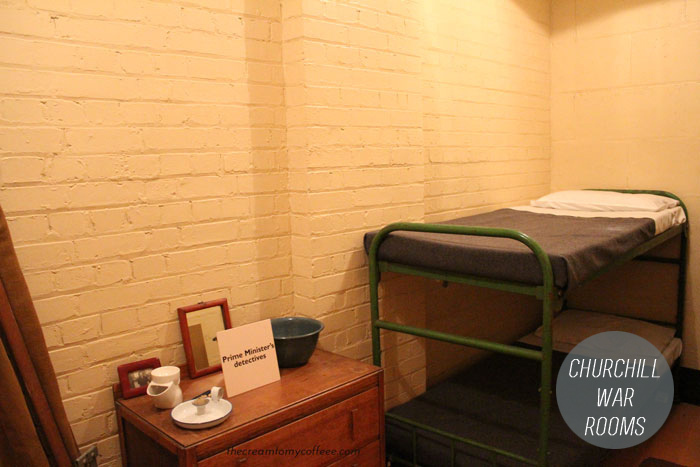 It contains the rooms where Churchill and his staff lived during the war as well as a thorough look at Churchill's life. We both learned a lot of things and left feeling inspired. St. Jame's Park is right outside the War Rooms and is practically an aviary. We walked around the whole park, but it would have been fun to have had a picnic amongst the birds. Harrod's was on our list of places to visit, of course. You can buy practically anything there, but we stuck to dessert. Westminster Abbey was... perfect. We went to evensong where we heard scripture read and listened to a boy's choir sing hymns. Beautiful. 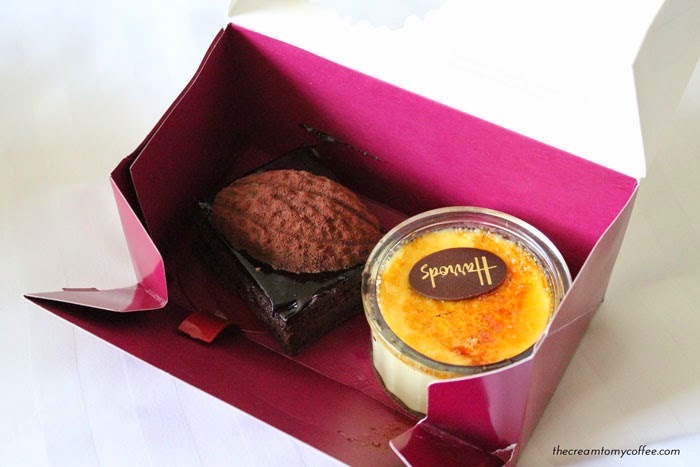 Harrod's Food Hall is a great place to eat and the prices really aren't bad. Go when you're hungry - you can find pretty much any type of food that exists, um, ever. 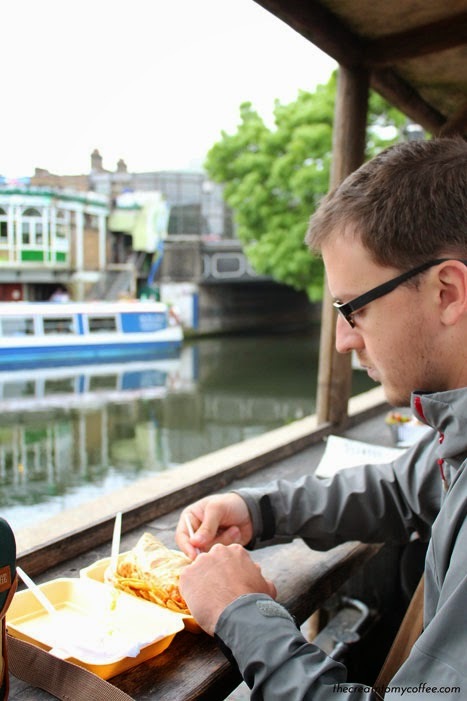 EAT is a quick, cheap place for sandwiches, soups, salads, etc. Gillray's is the restaurant in the Marriott County Hall. The food is very expensive, but the views are amazing. There is a swanky bar section if you have a few minutes to hang out and grab a drink. 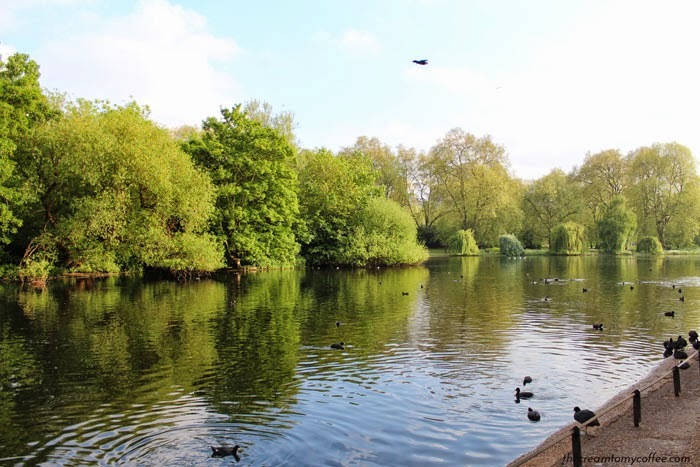 London is home to some amazing parks (Hyde, St. James', Greenwich, etc.) so having a picnic and walking around in the park is a really great outing. Get an Oyster Card (you just put a certain amount of money on the card and it gets you better rates than single tickets) to ride the subway. 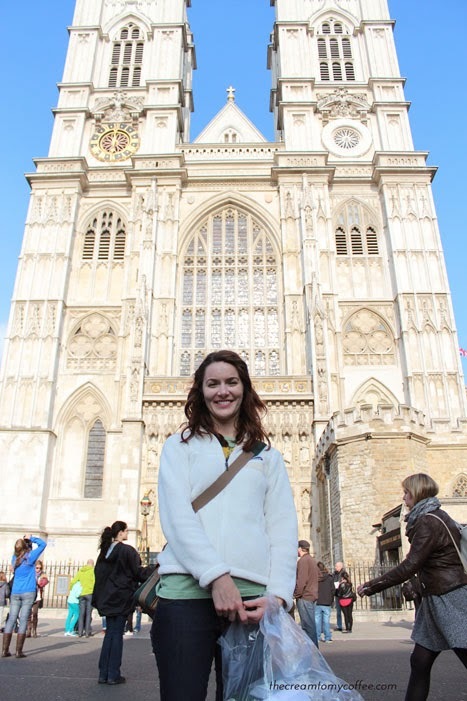 Evensong happens at Westminster Abbey every evening at 5pm. It is free and open to the public, but you must stay for the entire service (about an hour) and you can't wander around. A ticket for a group tour of Westminster is around £15 per person. We loved evensong and I would definitely recommend seeing the Abbey this way. The Tower of London is a must, obviously, but I would recommend getting there early. We walked in and went straight to the crown jewels, where there was no line, and then walked back to the front for a Beefeater tour. We really didn't have to fight any crowds at all. We are so glad we did a bus tour. 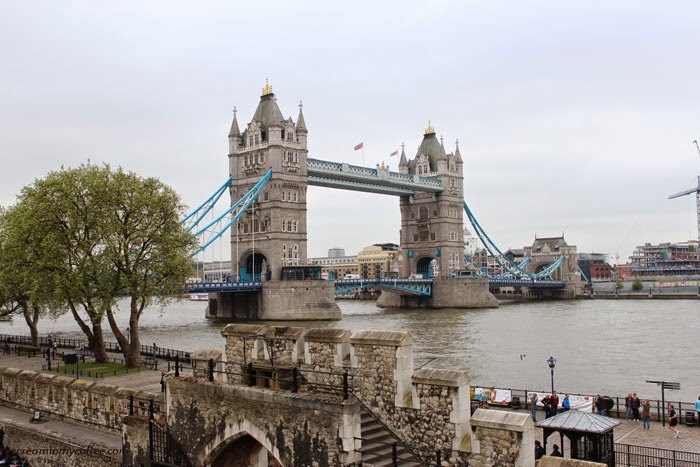 Sure, it's super-touristy, but if your time in London is limited, it is the easiest, most cost-efficient way to see a lot of things at once. 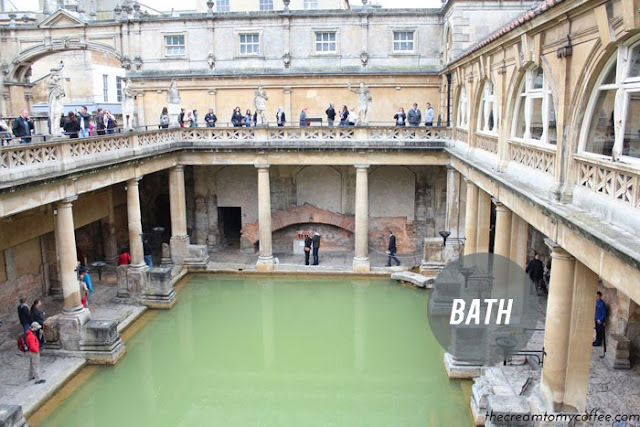 Besides the one we went on, there are also bus options that include Oxford, Cambridge, Stratford-upon-Avon, The Cotswolds, etc. 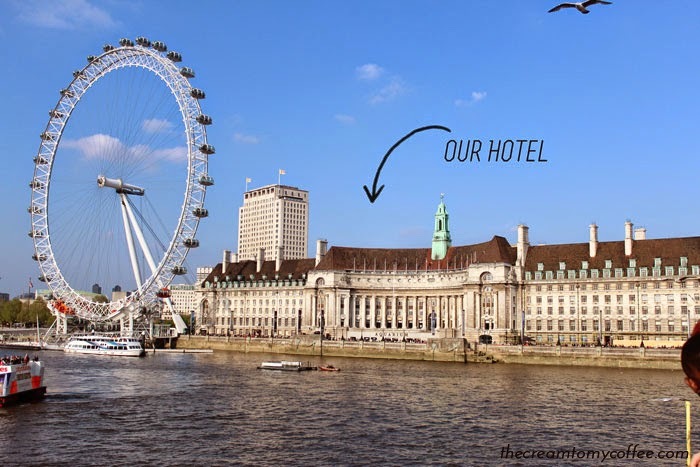 Talk to your hotel when you arrive - they can give you great recommendations. Be aware of the hours of different museums and attractions. A lot of things closed earlier than we expected so we had to rearrange things a bit. Anyone else have any tips for London travel or must-sees? You're so right about the tour on the first day, whether it's a bus, bike, or walking tour. Even though it can seem touristy, I always find that when I'm in a new city, especially for only a few days, it helps me get the lay of the land and figure out where everything is, especially where I want to come back to. In London particularly I think it's so easy to ride the tube the whole time that so many people never realize how small and walkable the City Center really is (probably because they're basing everything off of the Underground map, which isn't to scale at all, but drawn out at 90 degree and 45 degree angles to simply be well organized and pleasing to the eye... it's an information design masterpiece – fun fact!). PS – I need to know Eric's Priceline secrets stat. I agree - the underground map is really difficult to understand - that is crazy that it is drawn out to be attractive as opposed to being to scale! We did A LOT of walking, which is really wonderful because you get to see so much more of the city that way! Okay, I'm really.. really jealous! It looks like y'all had such a fantastic time! London is one of those places I've dreamed about going since I was a very tiny little girl that didn't quite understand how far away it truly was. To this day, it's my top pick for a vacation (when the day comes that I can actually afford it)! perfect timing... its almost like you knew Kate was due to give birth to HRH Baby Cambridge! So pretty! Hahaha yes! I can't believe how well the timing worked out! Long live Prince George! Pretty sure I would have cried during the evensong. Did you? Um, yes! It was almost too much listening to beautiful hymns of praise sung in Westminster. I definitely teared up! Never been to London but your lil adventure makes me want to go! 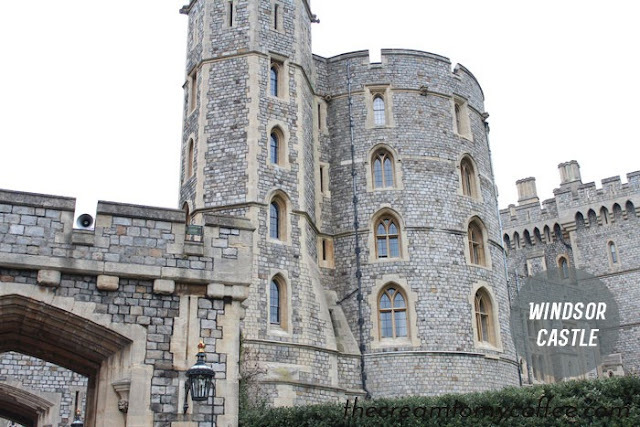 Windsor Castle looks like a perfect "weekend getaway"... that Queen, she would! :) And, oh man, Bath Abbey!!! Are you kidding me, that place looks beautiful!!! 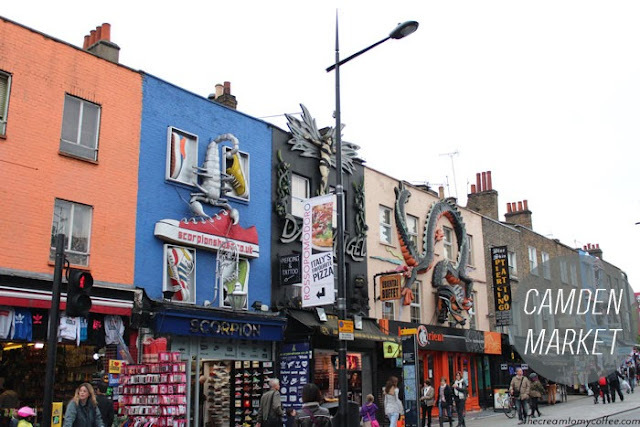 Haha Camden Market was definitely a little Portland - let's just say the 90's are alive there too :) And yes, it is SO diverse - honestly, most people we talked to were not even from the UK! 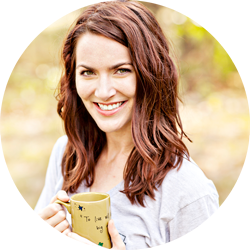 ok, after reading this post, i'm pretty sure we need to be besties. 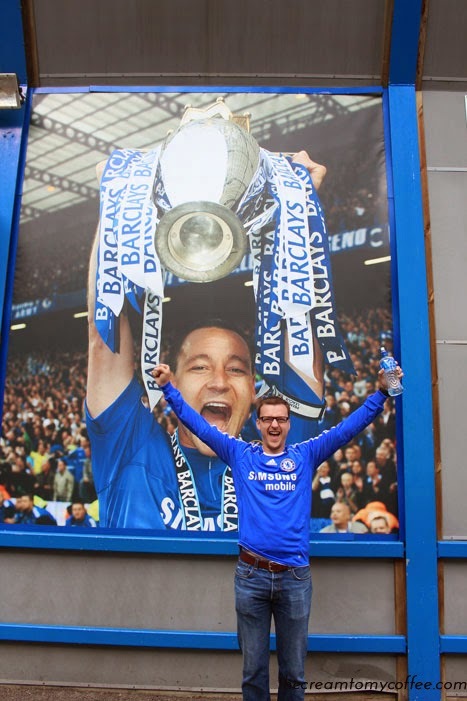 a) my hubby is a chelsea fan and we went to a soccer game when we went to london. and our youngest cat is named Chelsea. b) i'm obsessed with jane austen, and i am pretty sure the bus tour you have noted is the one i have written down in my travel journal. that's all.